1. Cut banana into chunks and put into a small blender jar with milk; blend until smooth. 2. Put the dry oatmeal in a microwave safe bowl. 3. 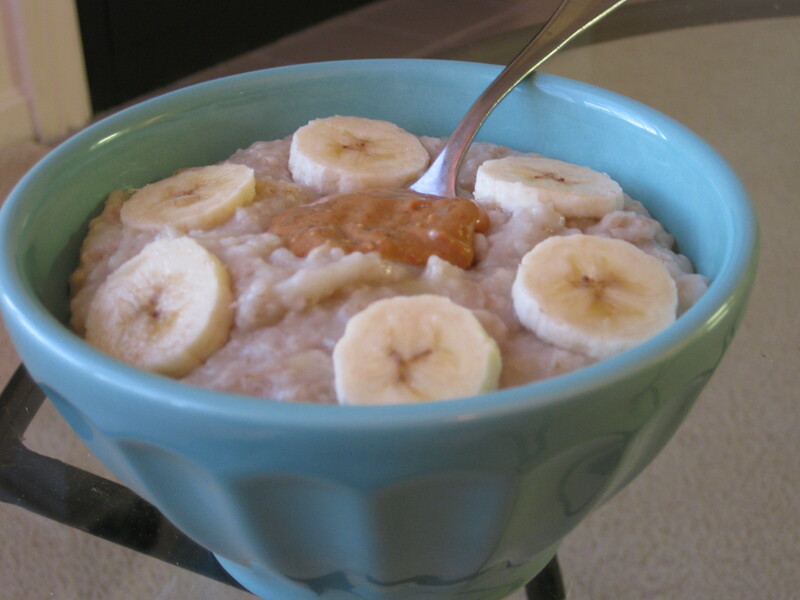 Pour the banana mixture on top of oatmeal & stir to incorporate. 4. Microwave (uncovered) on high setting for 30 seconds. 5. Stir & microwave another 30 seconds. 6. Stir in peanut butter.